Made for my daughter Dara, this once accommodated virtually all of her wardrobe from birth in 1986 until she was about 5 years old, and it was then passed down to my second daughter, Carey in 1988. It was designed with both a closet (for hanging dresses) and drawer storage for everything else. 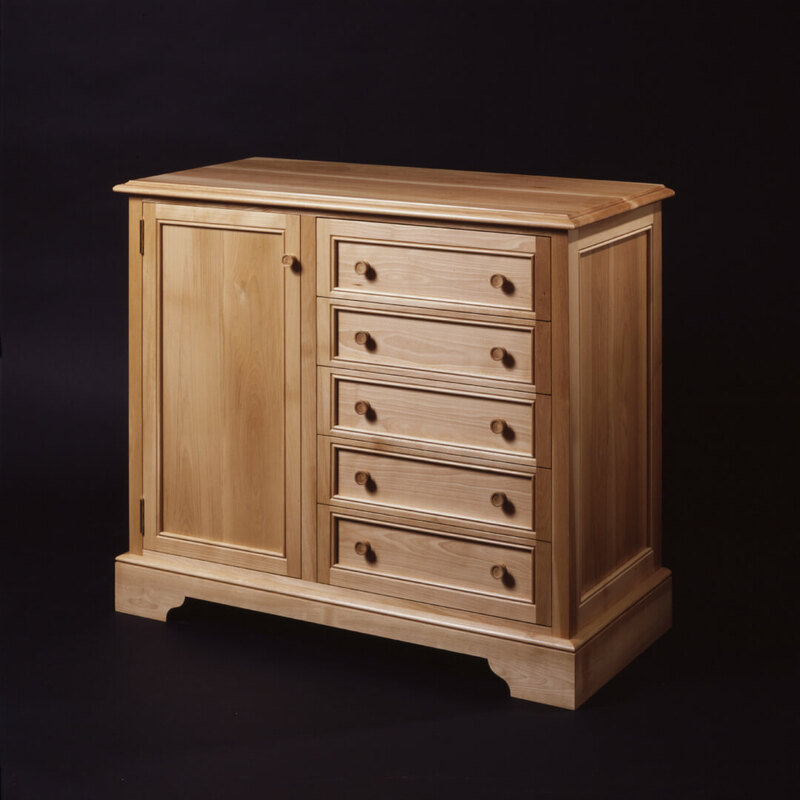 Loosely designed after a late 18th century chiffoneer, the drawer beading helped to modernize an old concept. It still sits quietly in the room Carey lived in until she moved to her own first apartment.